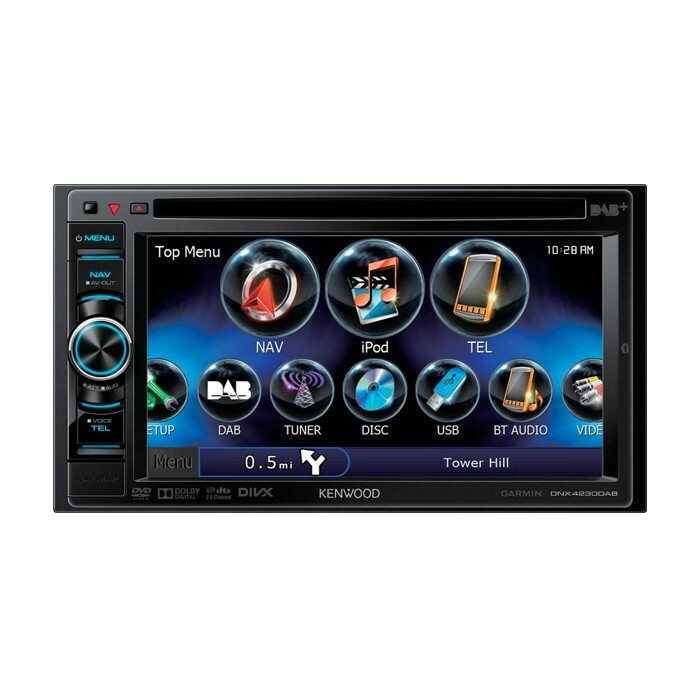 With the Kenwood DNX4230BT you can enjoy the ultimate entertainment of Kenwood all-in-one 2DIN navigation. 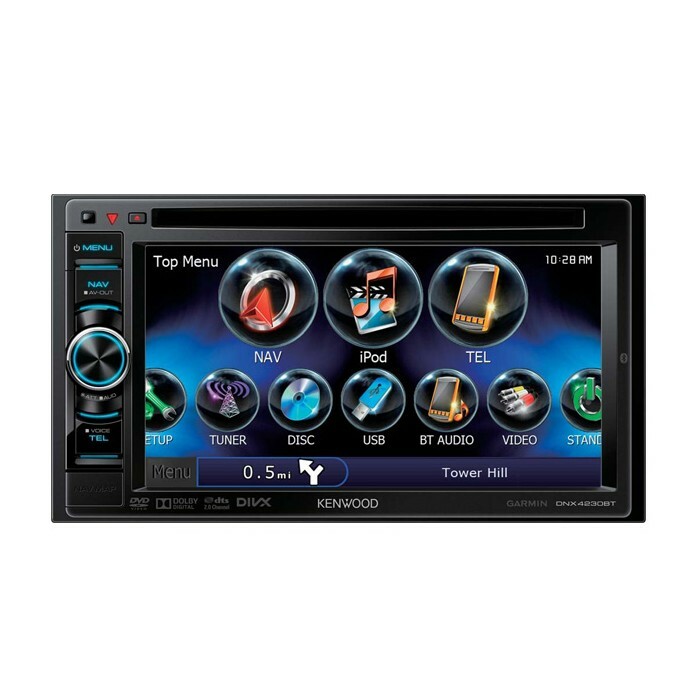 It features Full-map European Navigation, Audio, Video and radio tuner in a single body, to match all your needs. 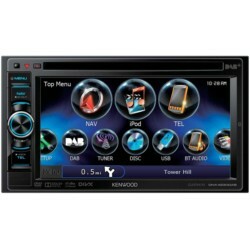 What's more, by using the optional Kenwood KCA-iP202 cable you can control your video iPod on the head-unit via USB. Better yet it offers seamless fitting with the car interior and extreme ease of installation without a hide-away box. 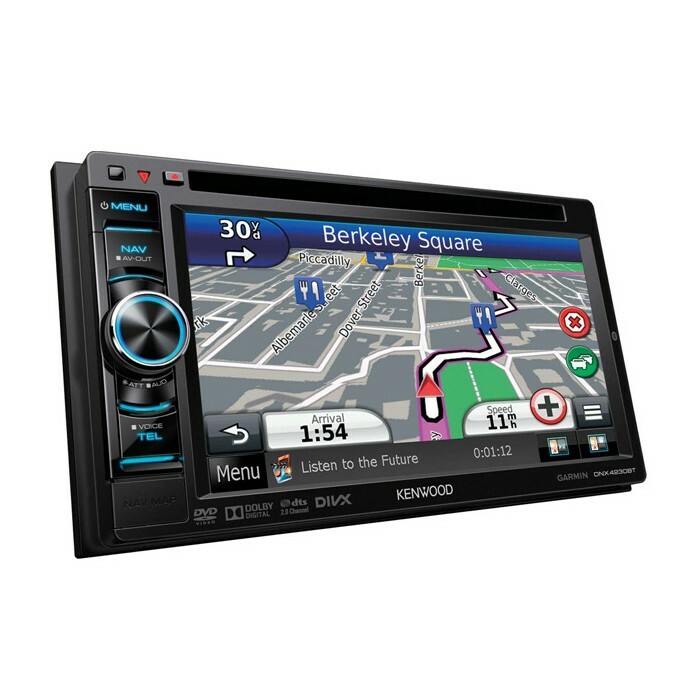 The in-built Garmin navigation system guides you to your destination efficiently and accurately. And it can even keep you up to date on what's happening with traffic flow along your programmed route. Garmin, long a leader in satellite navigation, provides the built-in road maps that feature impressive detail, 2-D and 3-D views, and extensive points of interest. The built-in trip computer gives you handy data about your average speed, distance traveled, and more. The built-in Bluetooth hands-free feature enables easy, safe mobile phone communications from the car. With the Kenwood DNX4230BT head-unit and mobile phone you can enjoy easy communication by simply talking into the provided microphone and listening to the other party through the vehicle's speakers. Phone numbers hold: up to 600 per registed cell-phone. Great bit of kit easy to fit. The sat-nav Garmin is just brill so is the i-pod. Just 1 word about the i-pod connection make sure your i-pod as the latest firmwear. As it will not work from the touch srceen. The product is geared to iPhone, but will it work with Android/samsung phones? How many phones can be paired at once? Yes it will work with a android smart phone, You can pair up a few devices how ever only use one at anyone time, This go's for most units. Hi, could you please tell me what else I would need to fit the Kenwood DNX-4230BT to my Golf Gti on a 57 plate. Thanks. I have a Saab double din sat nav already and am looking to upgrade with hands free and ipod etc. any idea of fitting cost and can it be intergrated into the cars steering wheel controls? The price depends on the car, and how difficult it is to fit. Prices start around �60.00 for fitting a satnav unit. If you would like any further information please feel free to contact your local store. I have a 1982 Alfa Romeo Alfasud and wish to fit a Kenwood DNX-4230BT. What extra's would I need and could it be a "DIY" install? Please visit your local store and they will be able to guide your through the whole process if it can be done. 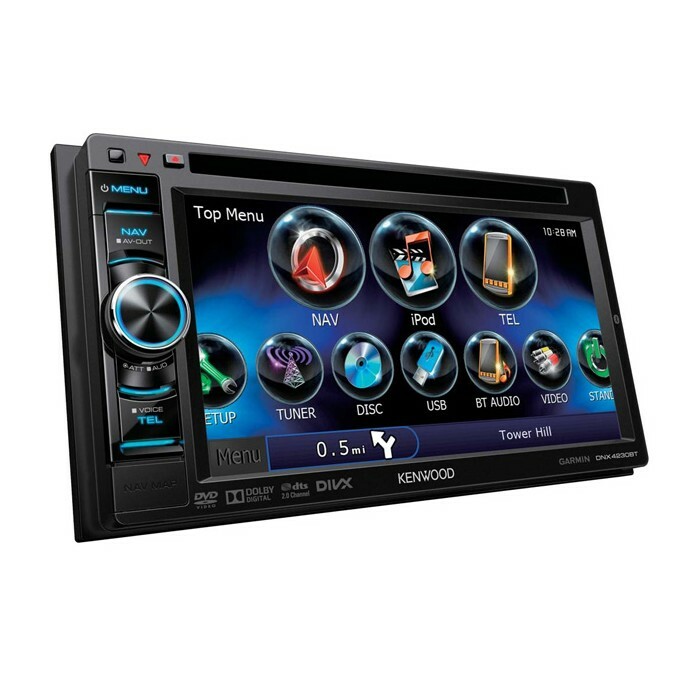 Will I need to purchase a surrounding to fit the Kenwood DNX-4230BT Double Din AV Sat Nav System with Built in Bluetooth system? I already have an ddx4028bt installed in my honda civic. Can i upgrade to this unit and will it fit? This unit should be a direct replacment when coming to installation. Providing the correct fitting accesories are purchased, Yes it will.